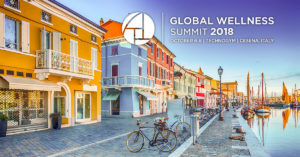 Miami, FL – September 19, 2018 – The Global Wellness Summit (GWS), the foremost gathering of international leaders in the $3.7 trillion global wellness economy, today released the full agenda for its 2018 conference, taking place at Technogym Village in Cesena, Italy, this October 6–8. 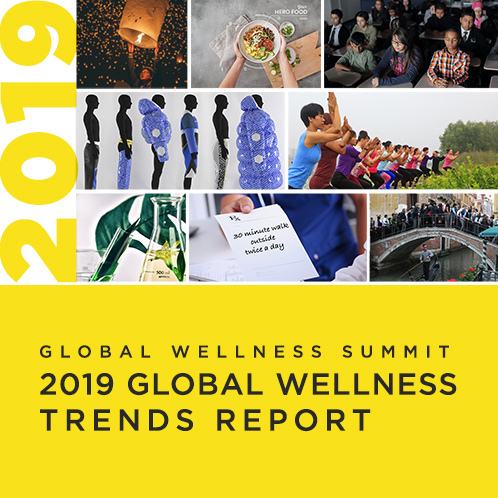 The theme of this year’s Summit is “Shaping the Business of Wellness,” and the three-day event is expected to attract over 600 business and thought leaders from 50 countries. The Summit is renowned for its keynotes and panels analyzing the largest opportunities unfolding in the wellness economy, from beauty and spa to fitness and fashion to workplace wellness, tourism and more. Wellness communities that put people’s health at the center of design are the next frontier in the fast-growing $134 billion residential real estate market. Italy has much to teach the world about healthy communities, from the Wellness Valley in the Emilia-Romagna region (where the Summit is being hosted) to Sardinia, Italy, which was identified as the original “Blue Zone” (places where people live the longest and are the healthiest). Best-selling author Dan Buettner, a world-renowned explorer and a writer for National Geographic who travels the world seeking out new Blue Zones, will present how these findings are informing new wellness community developments worldwide. A range of keynotes and presenters will explore where the hospitality, wellness travel and spa markets are heading, including a keynote by Rafat Ali, CEO of Skift, who will be speaking about the future of travel and overtourism in particular. Sir Rocco Forte, founder of Rocco Forte Hotels, will co-present with group project director and daughter, Irene Forte, and Sue Harmsworth MBE, founder of ESPA International, will interview a panel of top experts on what’s working—and not—in luxury hospitality, spa and wellness. The latest in preventative health approaches will be a central topic at the conference, with keynotes from leading medical experts, including Ranieri Guerra, MD, the current World Health Organization assistant director general for strategic initiatives; Dr. Richard H. Carmona, the 17th surgeon general of the US; Sergio Pecorelli, MD, OBGYN, surgeon, researcher and chancellor emeritus at the University of Brescia and former president of the Italian FDA; and KPMG International’s Mark Britnell, global chairman and senior partner, infrastructure, government and healthcare. How wellness is disrupting the food and beverage markets will be examined in keynotes by experts, such as Andrea Illy, chairman of Italy’s coffee powerhouse, illycaffè; Mindy Grossman, president and CEO of global weight loss-turned-wellness brand, Weight Watchers; and Neil Grimmer, founder of Habit, the world’s first personalized nutrition company. The future of the $542 billion fitness and mind-body sector will be explored in keynotes from industry giants, such as Nerio Alessandri, founder of Italy-based Technogym, a world leader in fitness technologies. With a mounting global depression and anxiety epidemic, the need for new approaches in mental wellness will also be on the agenda, including a keynote from Bob Roth, CEO of the David Lynch Foundation and author of the new best seller, Strength in Stillness: The Power of Transcendental Meditation. Well+Good founder Melisse Gelula’s keynote will address America’s obsession with CBD, the cannabis- and hemp-derived ingredient whose popularity is soaring in the US; and a white paper “Mental Wellness: Pathways, Evidence and Horizons” will be released. The $1 trillion beauty market is being reshaped by wellness. LS:N Global, The Future Laboratory, one of the world’s leading forecasting firms, will be identifying the disruptive beauty trends on the horizon. Roundtables will investigate the future of wellness and retail, and Dave McCaughan, chief strategy officer at Ai.Agency, will share how artificial intelligence will dramatically impact both wellness and retail. Delegates will mix the business of wellness with the pleasure of it, as the 2018 Summit takes place in a unique location called the Wellness Valley, an area between the Adriatic coast and the hills of Emilia-Romagna. In addition, when not in sessions, delegates can choose from wellness activities, such as Dance Energy Breaks sponsored by the Center for Transformative Movement and Wellness Walks on the Beach hosted by Weight Watchers. The conference will also host the first-ever “Wellness Meets Fashion” runway show, brought to life by Jessica Jesse, CEO and creative director of BuDhaGirl. The 2018 Global Wellness Summit is close to being sold out. Interested parties should apply to attend immediately.